McIldowie Partners were engaged by the Metropolitan Golf Club in 2015 to design and Project Manage construction of a Golf Services Wing, complementing the Main Clubhouse Building completed in 2012. Retaining only the concrete slab and parts of the perimeter masonry wall, the new building sits largely on the site of the former Locker Rooms and provides not only new Locker and Change Facilities but, a new Professional Shop, large areas for display and for Members’ bag and buggy storage. The design complements that of the adjoining Clubhouse linking the two buildings in a coherent language, sympathetic to the landscape setting. 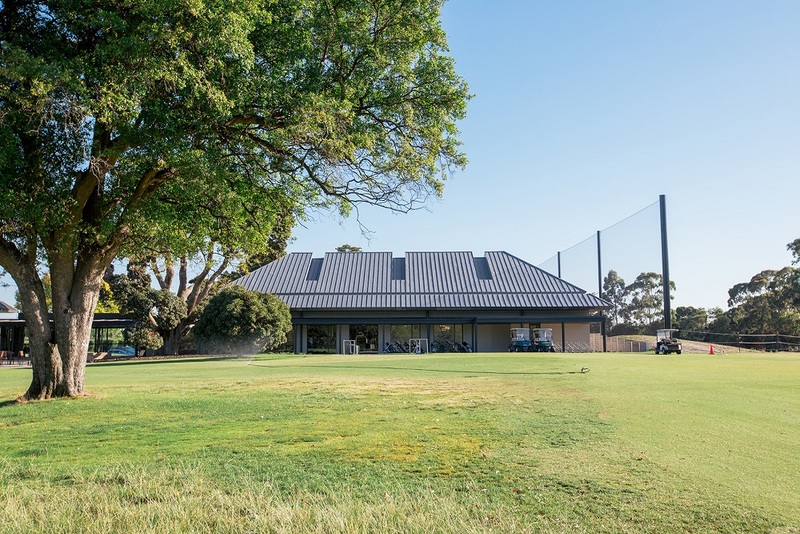 Nestled around a flowing gum tree the buildings glazed entry provides access between the golf services wing and the clubhouse whilst opening the building up to a terrace and the course beyond.